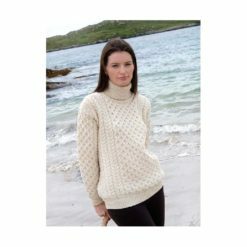 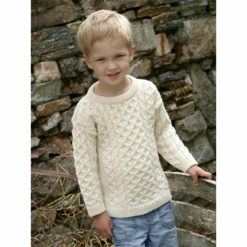 This traditional Irish roll neck sweater follows all the traditional Irish Aran stitching patterns that have been passed down from generation to generation, which in olden days told stories of families and life in Ireland. 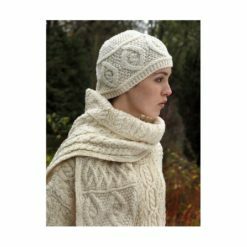 Along the center panel of the body the honeycomb Aran stitch flows, signifying the hard working bee or the hard work of a fisherman. 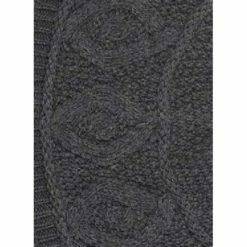 On either side of this center paneling there are rows of Irish cable stitches resembling the fisherman’s ropes, the link to life. 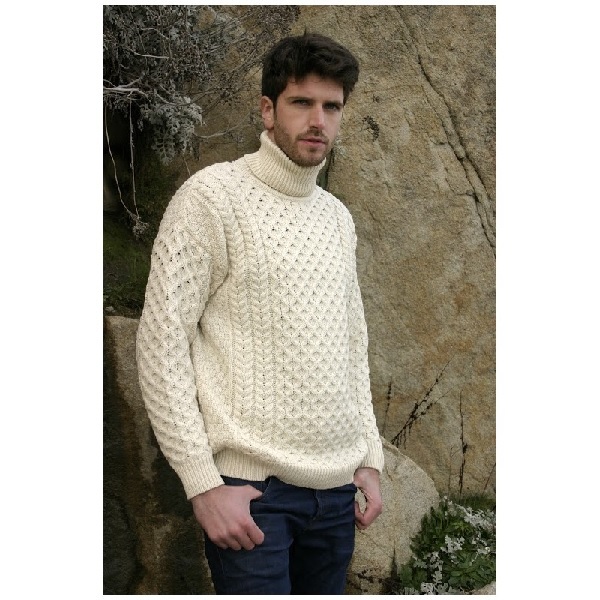 This jumper tells an Irish story through knitting.